Well, I guess you know you are in Texas when you see cows. In fact, we saw a whole herd of them right in downtown. 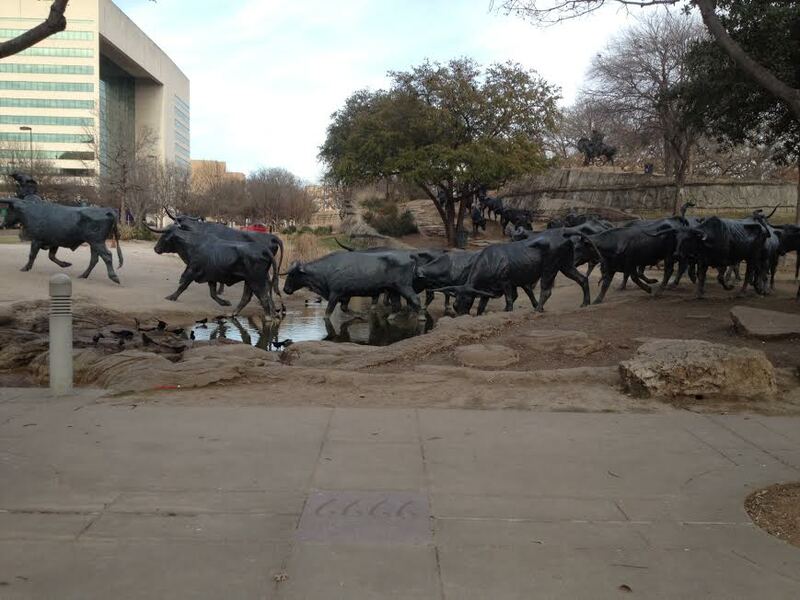 Between the hotel and the convention center, there’s this monument which is a herd of cows and a few ranchers on horseback.